Dr. Katerina Gallus and Dr. Trent Douglas discuss plastic surgery for patients who have diabetes. To talk about diabetes and how it can impact elective surgery. In the United States today, diabetes both type 1 and type 2 are very common diagnoses. The effects of diabetes can impair wound healing and increase risks for elective surgical procedures. If you have a diagnosis of diabetes, that does not mean that you can’t have elective surgery. We encourage you to work with your primary care doctor to optimize your diabetes management so that you can proceed. 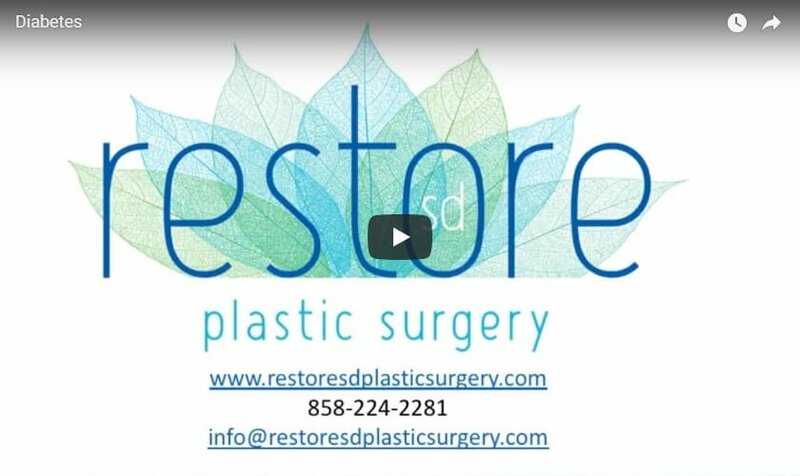 At Restore SD Plastic Surgery, we’re invested in the safe and optimal outcome for all our patients. We look forward to seeing you for a consult.